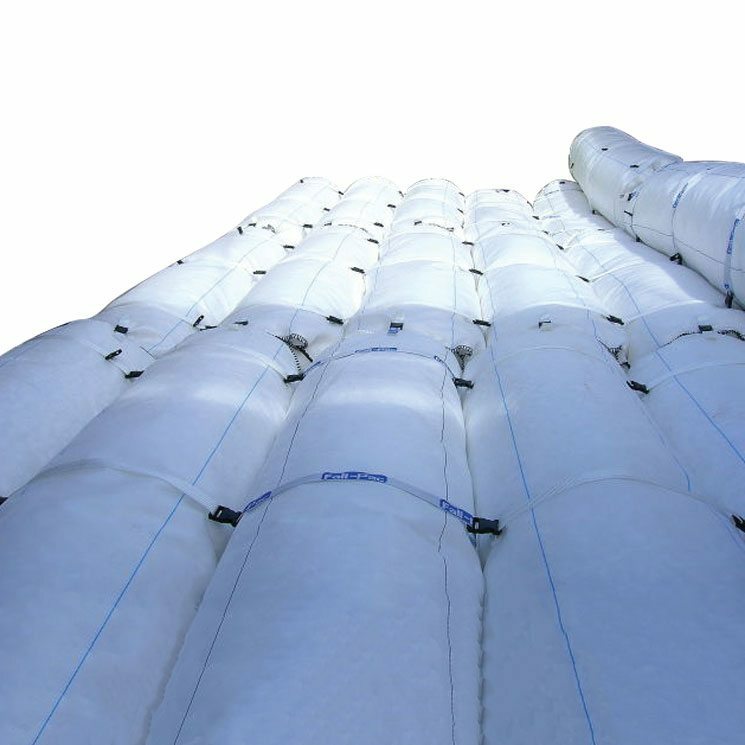 The Fall-Pac construction consists of a tubular polypropylene outer casing fitted with interlocking fastening devices containing treated impact absorbing material. Each bag weighs approximately 6 kilos and can be installed quickly and simply in applications throughout the industry. Fall Pac Cushion System is also suitable for use in vehicle applications where there is a risk of fall from a load platform or other elevated surface. Each Fall-Pac has a length of 2.5m and a diameter of 0.644m, this gives a true surface coverage of 1.61 sq. metres making installation quick and large areas easy to cover. Half-Pac’s (length 1.25mtrs) are available to optimise coverage. Due to the unique design each Fall-Pac maintains its high impact absorbency as a single unit, this results in a consistent high performance installed system. The Fall-Pac modular impact cushioning system has been fully tested for resistance to flammability using British standard ignition sourcesadapted from BS 5852. The main body of the Fall-Pac is treated with a special surface coating which gives many advantages including reduction of water ingress, increased impact absorbency and increased anti-soiling properties.